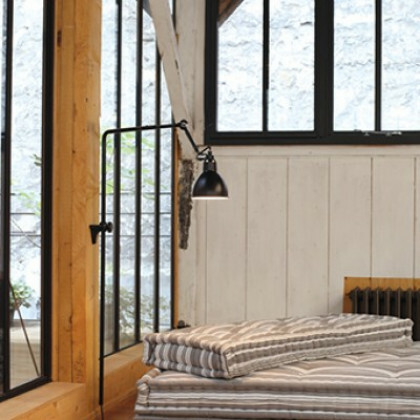 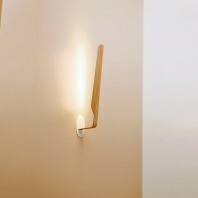 The wall bracket slides vertically in its cast iron from bottom to top, ranging from 1.10m to 2.20m. This height gives us the impression that we have a street lamp and not a wall lamp. 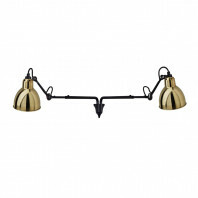 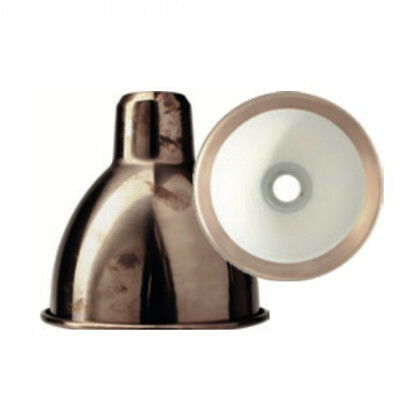 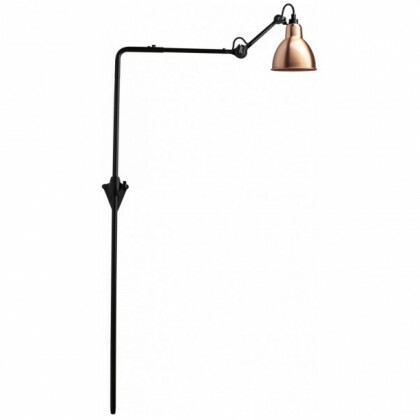 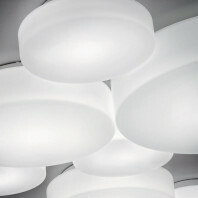 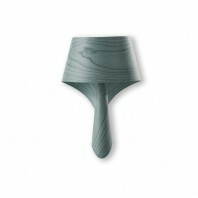 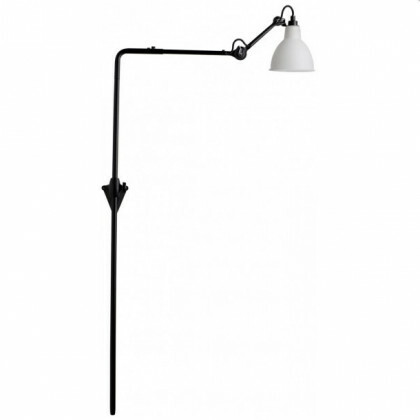 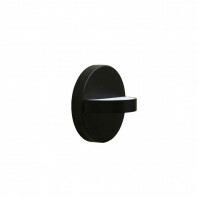 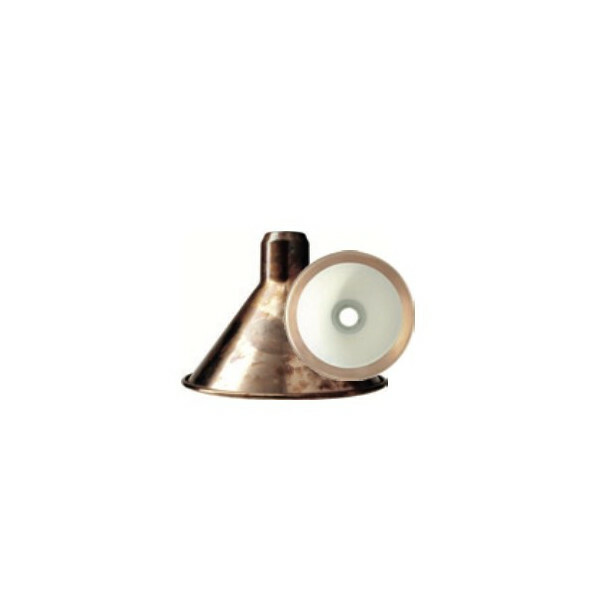 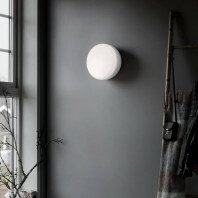 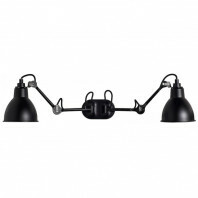 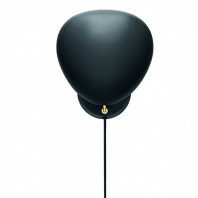 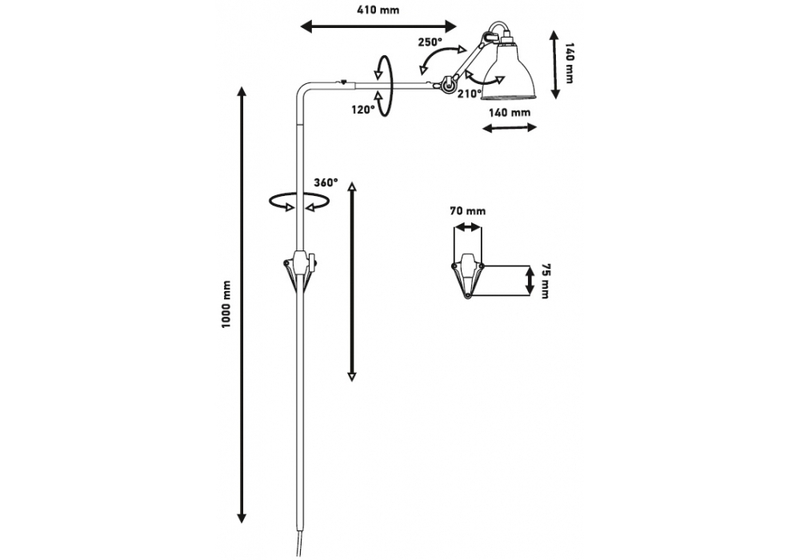 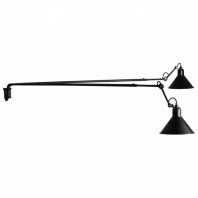 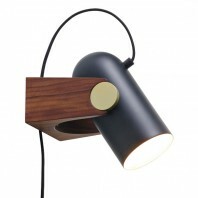 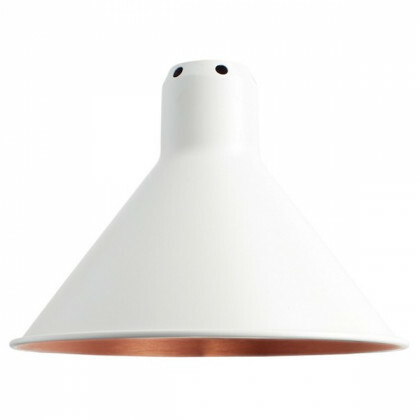 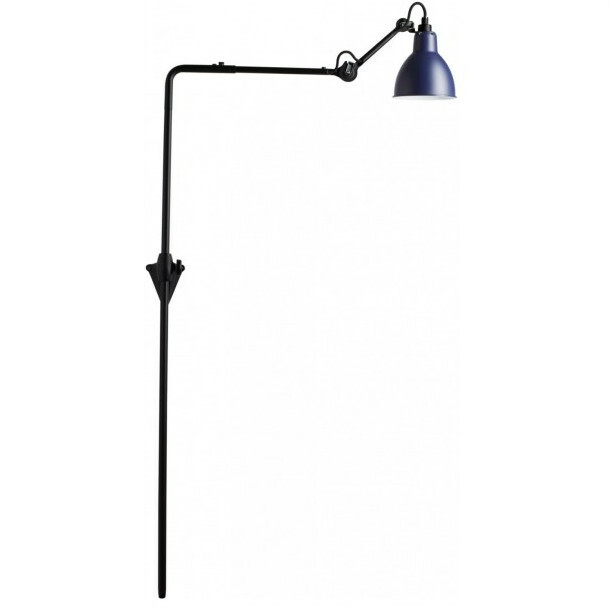 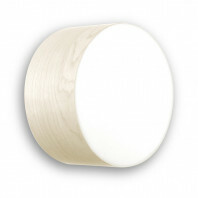 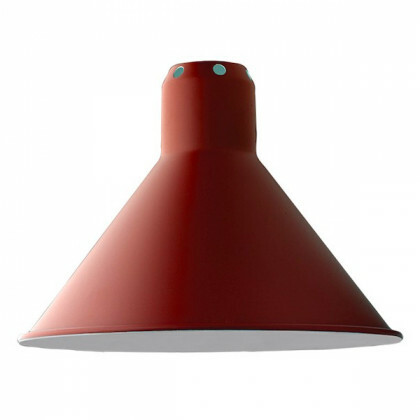 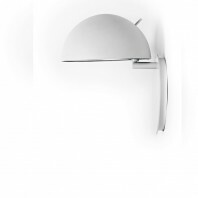 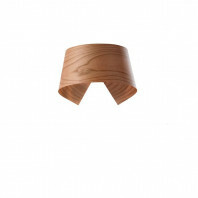 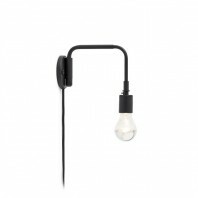 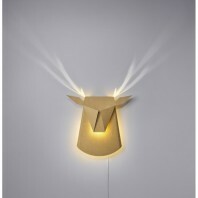 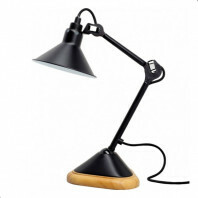 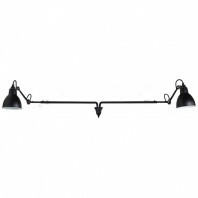 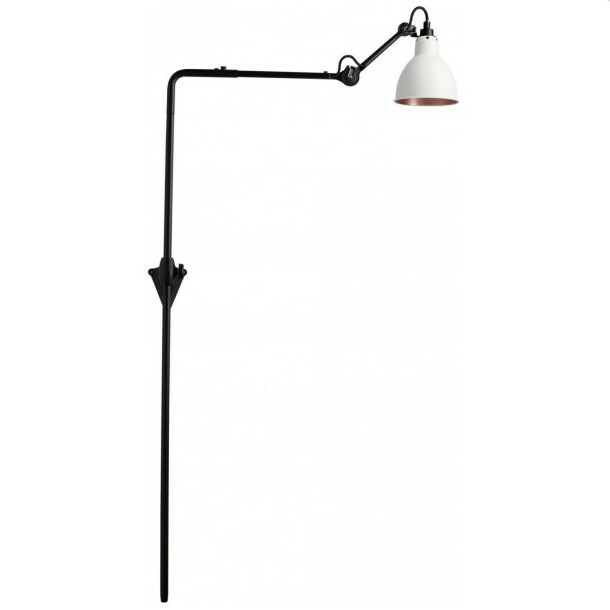 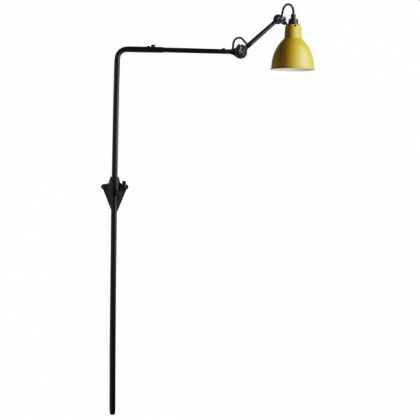 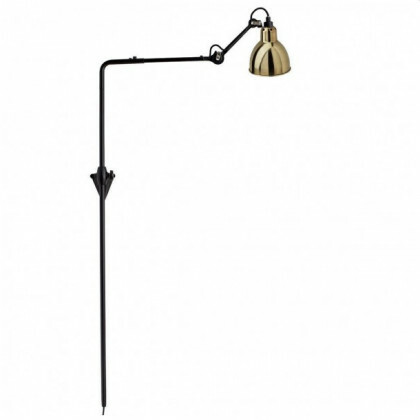 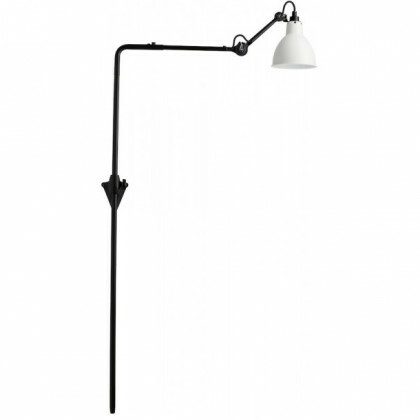 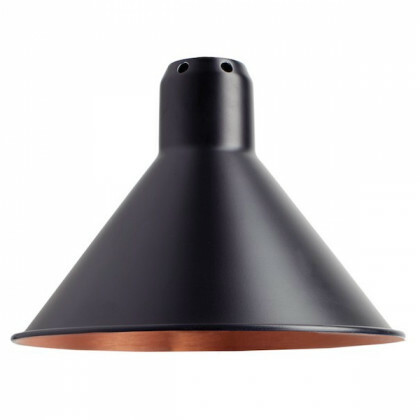 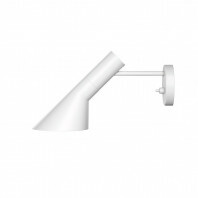 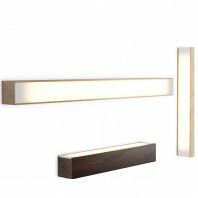 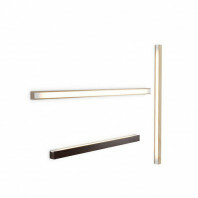 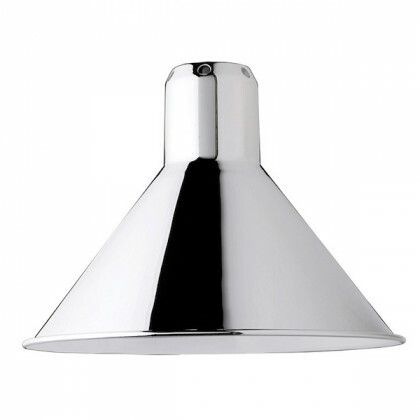 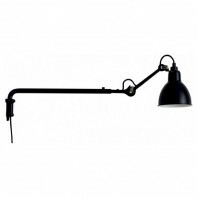 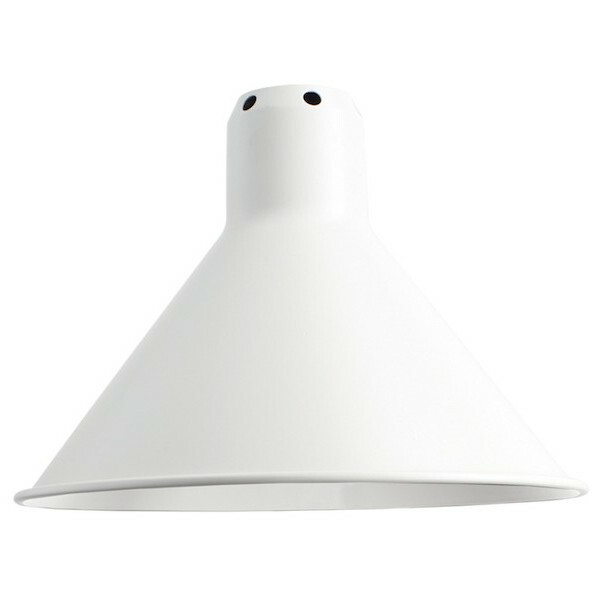 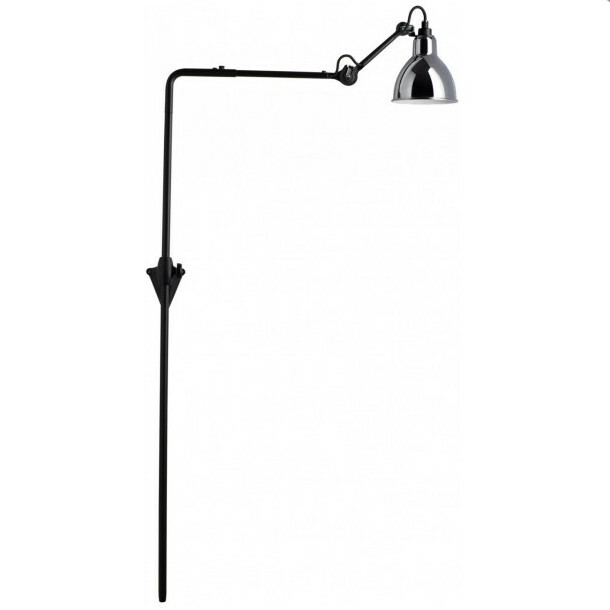 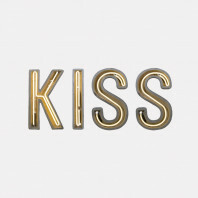 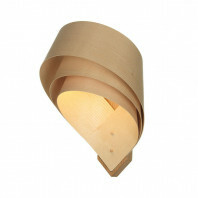 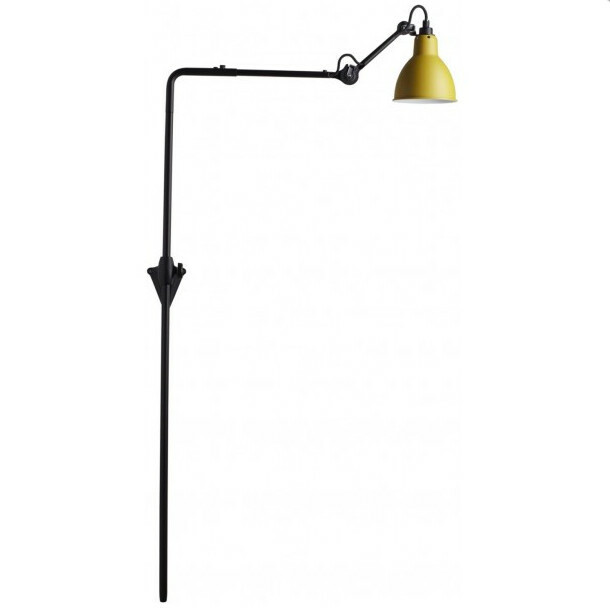 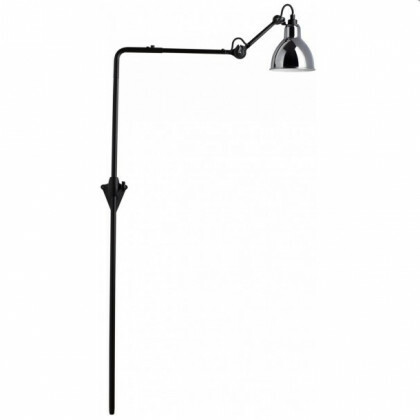 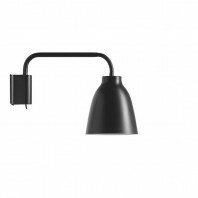 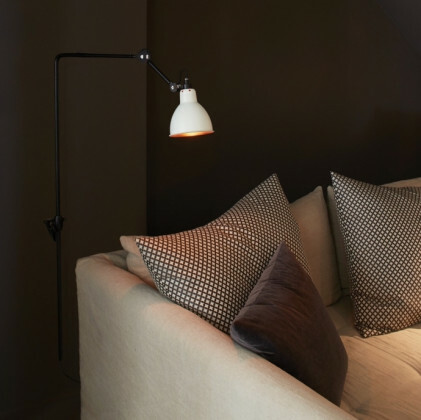 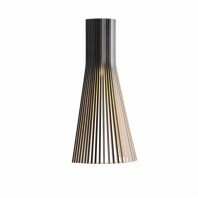 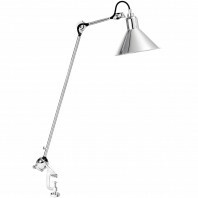 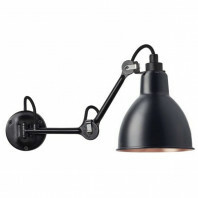 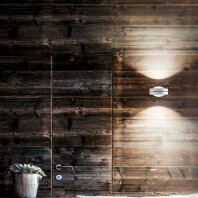 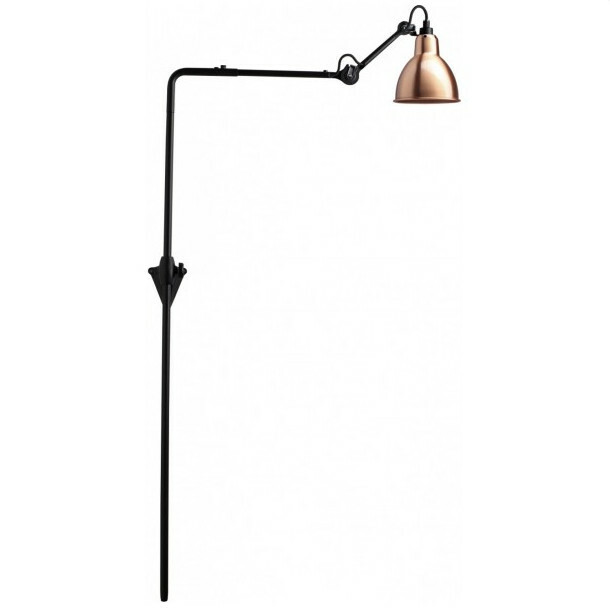 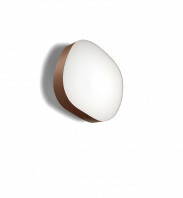 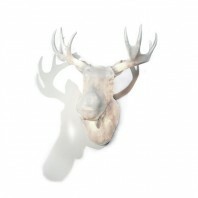 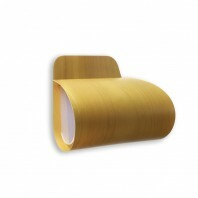 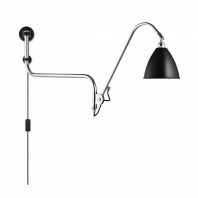 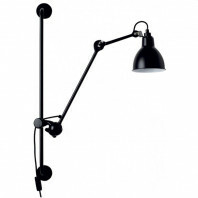 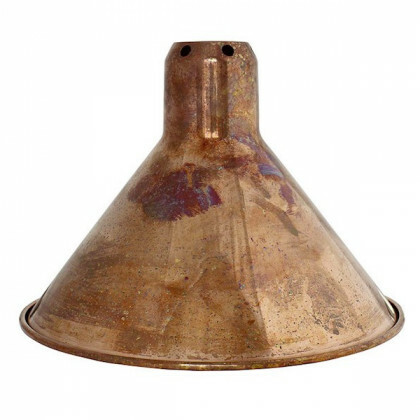 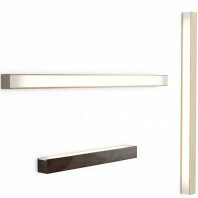 The wall lamp is available with a round or conical shade. 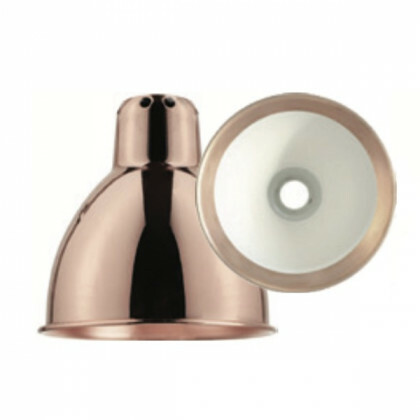 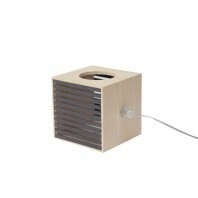 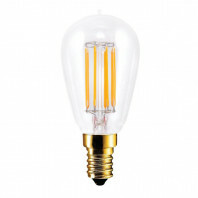 Different colours are manufactured such as black, red, yellow, blue, blue, chrome, white, with opaline glass or polycarbonate glass, white and copper inside, black and copper inside, copper inside, copper inside, copper inside, copper inside, copper inside, copper inside with white inside, white inside, brass inside or gold inside. 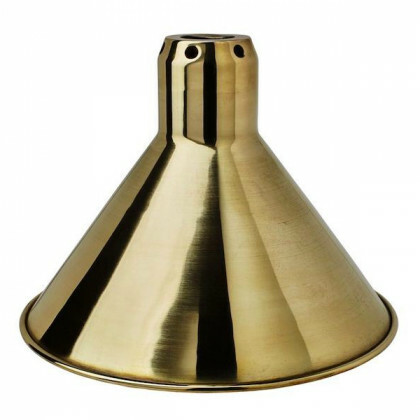 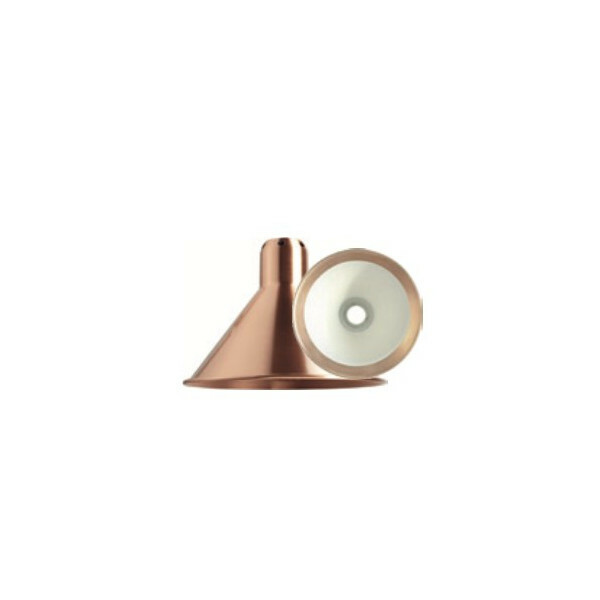 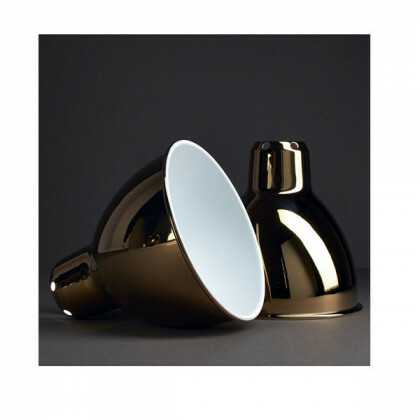 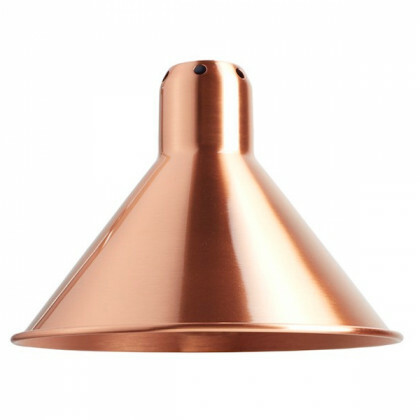 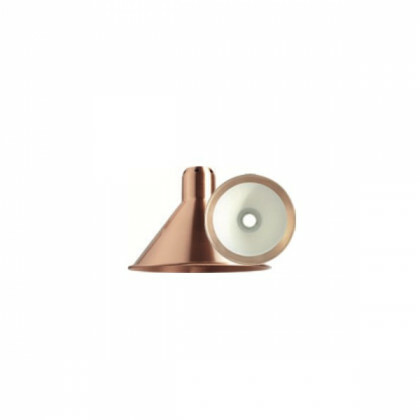 The conical version does not exist with opaline and polycarbonate glass and gold.